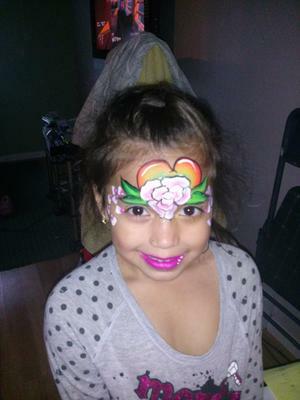 Add color and sparkle to your next party or event with fabulous Face Painting! 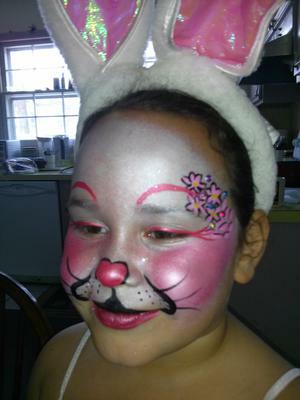 I pride myself on quality and taking time to be sure each face and body paint creation is a unique work of art, knowing each person I paint is a beautiful canvas themselves! Professionalism is important to me, as well as being sure my customers, young and old, are treated respectfully and are happy with their experience on all levels. 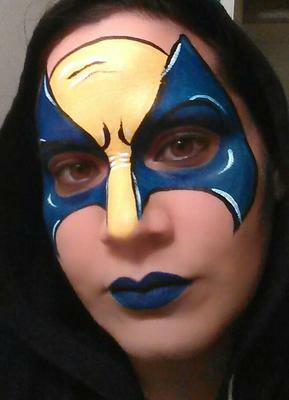 Face Painting is all custom painted with care, by hand. 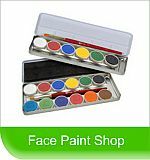 Top of the line 'one stroke' and 'rainbow cake' face paint products and techniques are used to create eye catching multi color designs that will wow the crowd. Add a touch of glitter and it's pure magic! All materials used are SAFE for use on skin. With proper care designs should last throughout the day and are easily removed with soap and water.